A singer deemed “superb” by the Los Angeles Times, and praised by Opera Canada for her “vivacious stage presence” and as a “soprano that charms and brightens a room”, Mireille Asselin enjoys a diverse, international career spanning concert, opera and recital work. To date, Mireille has sung five seasons at the Metropolitan Opera, where she debuted as Poussette in Manon. She then made waves by jumping in as Adele for opening night of Die Fledermaus under the baton of James Levine, giving a performance that critics raved "stole the show", hailing it as one of New York's "most enchanting" of the season. As a respected performer of early music she also appears regularly with Opera Atelier, the Boston Early Music Festival and other period ensembles. She made her European operatic debut in 2014 at the Royal Opera of the Palace of Versailles in Lully's Persée and her Carnegie Hall concert debut in 2012. In the 2018-19 season, Mireille makes debuts with The Harris Theater in Chicago, with Garsington Opera in England, the Champs-Elysées in Paris, and with Odyssey Opera in Boston in addition to touring extensively with the Mirror Visions Ensemble in recital across North America and in Europe. Her most recent album "Inspired by Canada - Notre Pays" with the Amici Chamber Ensemble was released this year on Marquis Records to great acclaim. This season also brings her back to both Opera Atelier in Toronto and the Royal Opera in Versailles performing a double-bill of Actéon/Pygmalion, as well as to the Handel & Haydn Society in Boston where she will perform and record Haydn’s Harmoniemesse. Ms. Asselin is a graduate of the Canadian Opera Company Studio, Yale University and the Royal Conservatory of Music. For more info visit www.mireilleasselin.com. Pianist Gary Chapman has appeared as soloist with the Hartford and New Haven Symphonies, the Connecticut Orchestra at Summer Music, Eastern Connecticut Symphony, and Orchestra New England. He has also appeared as a collaborative pianist at the Spoleto USA Festival, the 92nd Street Y, Merkin Hall, the National Gallery of Art in Washington, D.C., Yale at Norfolk, the Chamber Music Society at Yale, Music Mountain, the Arizona Friends of Chamber Music in Tuscon, AZ, and in Europe at Wigmore Hall in London, the Salle Cortot and American Embassy in Paris, the Pyramid in Tirane, Albania, and at colleges and universites throughout the US. He has toured with soprano Dawn Upshaw, baritone Richard Lalli, and recorded the companion compact disc with Mr. Lalli for the book, Listening to Classic American Popular Songs, featuring Mr. Chapman's arrangements, published by the Yale University Press. A pianist noted for his versatility in many genres, Mr. Chapman has performed as guest pianist with Musical Elements and Sequitur in New York, played solo piano and chamber music of Pierre Boulez under the supervision of the composer, and co-commissioned and premiered music by the composer/pianist Roger Kellaway. He remains in demand as a keyboard player in all styles, frequently on synthesizers with national Broadway touring productions. He is also a founding member of Elite Syncopation, a group devoted to the performance of ragtime and early jazz. Mr. Chapman's orchestral arrangements of the music of the Gershwins were featured in Pardon My English: a Portrait of the Gershwins, performed by Orchestra New England with Mr. Chapman as piano soloist/arranger in March of 2007. He is the co-director of the music series, Sundays in the Parlor at Park, and appears frequently at the Hop River Chamber Music Festival where he currently serves as Program Director. Mr. Chapman studied piano with Paul Jacobs, Nadia Boulanger, Virginia-Gene Rittenhouse, and composition with Arnold Franchetti. He has recorded for the CRS and Centaur labels. Originally from East Lyme, he is a 1977 graduate of the Hartt School and lives in Norwich. He is also a proud member of the Mohegan Tribe. 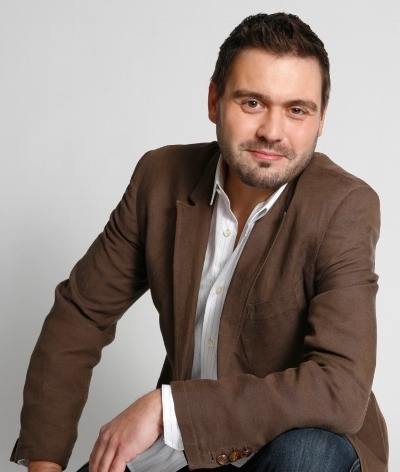 Scottish pianist Alan Darling has performed recitals throughout Europe, Canada, and the United States, collaborating with artists such as Jamie Barton, Nicole Cabell, Christiane Karg, Brandon Jovanovich, Amanda Majeski, Susanna Phillips, Matthew Polenzani, Samuel Ramey, and Amber Wagner. From 1993-200, he performed more than fifty song recitals at Ravinia’s Steans Musical Institute. Mr. Darling has premiered new works for voice and piano by Christopher Berg, Tom Cipullo, Russell Platt, and Scott Wheeler with the Mirror Visions Ensemble. He is the founder of the ensemble (no tiny birds), a group that is dedicated to re-thinking the presentation of art song recitals. He was an assistant conductor at Lyric Opera of Chicago for several seasons and worked closely with Maestro Bruno Bartoletti and Sir Andrew Davis. Mr. Darling taught at Yale University from 1993 to 1998 and is currently on the faculty at Northwestern University, where he is principal opera coach and teaches classes in American, English, French, German, Italian, Russia, and Spanish song repertoire. He teaches at Lyric Opera of Chicago’s Ryan Opera Center and is a master coach at San Francisco Opera’s Merola Opera Program. Pianist Margaret Kampmeier enjoys a varied career as soloist, collaborative artist and educator. Equally fluent in classical and contemporary repertoire, she has concertized and recorded extensively. In addition to Mirror Visions Ensemble, Kampmeier has appeared with the St. Petersburg Chamber Philharmonic, New York Philharmonic Ensembles, Kronos Quartet, Saratoga Chamber Players, Sherman Chamber Ensemble, Richardson Chamber Players, and the Locrian Chamber Players. 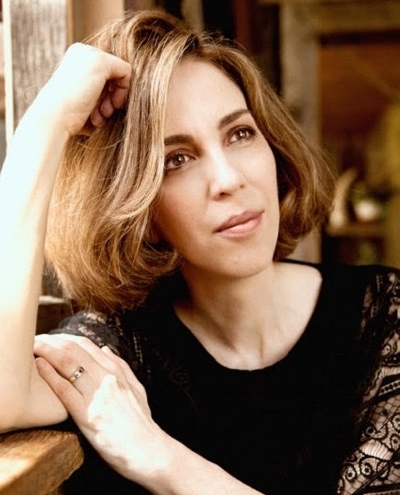 As orchestral keyboardist, she performs regularly with the Orchestra of St. Luke’s, and is a frequent guest of the New York Philharmonic, American Composers Orchestra and Orpheus Chamber Orchestra. As a recording artist, she can be heard on the Albany, Centaur, CRI, Koch, Nonesuch, and Bridge labels. Kampmeier teaches piano and chamber music at Princeton University, and is currently Chair and Artistic Director of the Contemporary Performance Program at the Manhattan School of Music. She graduated from the Eastman School of Music, where she studied with Barry Snyder. She pursued graduate studies with Gilbert Kalish at SUNY Stony Brook, receiving both Master’s and Doctoral Degrees. A native of Rochester, NY, Ms. Kampmeier resides currently in New York City. Tenor Scott Murphree is a distinguished singer of the concert, recital and opera stage. In addition to specializing in traditional opera repertoire, he has also created roles in several world premieres of operas including Allan Jaffee’s Mary Shelley, Christopher Berg’s Cymbeline, and Tina Davison’s Billy and Zelda. Highlights of recent engagements include performances with Central City Opera, Glimmerglass Opera, Des Moines Metro Opera, Opera Delaware. Utah Opera, Opera Delaware, Nevada Opera, Orpheus Chamber Orchestra, American Symphony Orchestra, Atlantic Chamber Orchestra, New York Festival of Song, Five Boroughs Music Festival, Carnegie Hall’s Weill Recital Hall, Alice Tully Hall, 92nd Street Y, Walter Reade Theater, Town Hall in Seattle, Eos Orchestra, Sioux City Symphony, Southeast Texas Symphony, Cape May Music Festival, Aspen Music Festival and Pacific Music Festival in Japan. He has worked closely with composers such as Ned Rorem, Ricky Ian Gordon, Robert Beaser and Richard Hundley, and has premiered songs written especially for him by Yehudi Wyner, Tom Cipullo, Richard Pearson Thomas and Christopher Berg. Murphree has served on the voice faculties of the University of Connecticut and the Yale School of Drama and currently serves as an adjunct professor on the voice faculty in the Steinhardt School at New York University. Murphree received his B.M. from the University of North Texas, his M.M. from Yale University, and his D.M.A. from State University of New York at Stony Brook. Grant Wenaus is the former Director of Piano Collaborative Piano Studies at NYU, where he conducted productions including The Magic Flute, L'enfant et les sortilèges, Dido and Aeneas, Orpheus in the Underworld, The Merry Widow, Ragtime, City of Angels and The Light in the Piazza. Dr. Wenaus is a Principal Coach and Assistant Conductor at the Glimmerglass Festival, and has been a vocal coach for the UpNorth Vocal Institute, the Interlochen Center for the Arts, and the Florence Voice Seminar. At Glimmerglass, he has performed in recitals with Eric Owens, Jay Hunter Morris, Nathan Gunn, David Pittsinger, Anthony Roth Costanzo, Marietta Simpson and Peter Volpe. He has also been an accompanist for many concerts at Symphony Space in New York City, working with such Broadway luminaries as John Kander, Jason Robert Brown, Andrew Lippa, Carolee Carmello, Kate Baldwin, Rebecca Luker, Julia Murney and Brian D'Arcy James. This year, Grant has been a vocal coach at Sarasota Opera and Atlanta Opera, and has joined the faculty at Montclair State University, New Jersey.